Why is everyone so judgmental? There's nothing wrong with loving cats. 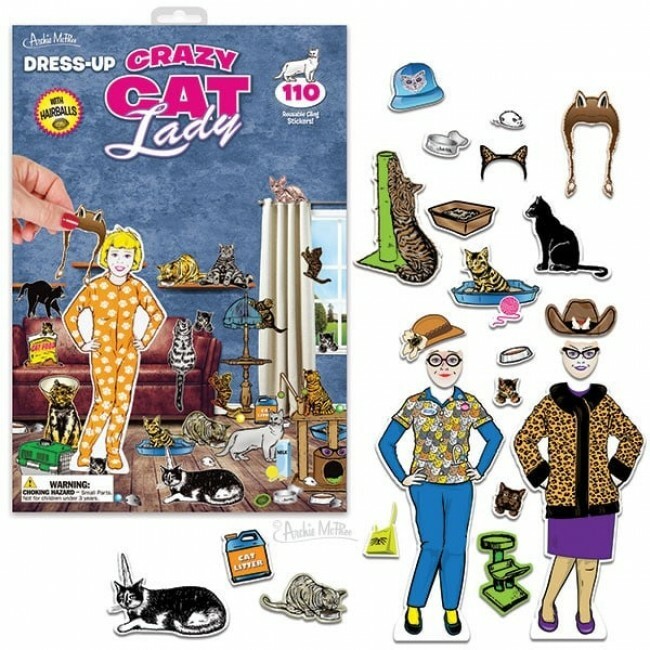 This set consists of two stand-up pieces on laminated cardboard, the 9" (22.9 cm) tall "Crazy" Cat Lady and her 11" x 14" (27.9 cm x 35.6 cm) living room. It includes over 100 reusable vinyl clings that you can stick to your heart's content. Just imagine, not only can you dress her in her cat-related outfits, but you can arrange kitties and kitty accessories all day long. Illustrated cardboard envelope.